Car repair costs have increased by 33 per cent over the past four years, according to the Association of British Insurers (ABI). One of the main reasons for the huge hike in repair costs is the advanced technology that cars are now fitted with. Computerised assistance systems, like lane departure warning and autonomous cruise control may offer huge safety benefits, but they're also extremely expensive to fix according to the ABI. Speaking to the Business Energy and Industrial Strategy Committee, the ABI said: 'The overall cost of claims for accidental damage has now reached a record level of £500m. The average cost of repairing damaged vehicles of policyholders, at £1770, has risen by 33 per cent over the last four years. Richard Billyeald, Chief Technical Officer at Thatcham Research agrees with the ABI and says that prices have soared in recent years. "We have seen an average cost increase per LED headlamp unit of 160 per cent, and as much as 400 per cent on some, compared with a halogen version." Installing and recalibrating these new headlights is also more complicated and will take longer, meaning a higher level of expertise and diagnostic equipment is required as well. Around 80 per cent of replacement car parts fitted to British cars are imported, with almost three-quarters of these coming from EU suppliers. Increases in tariffs as a result of a no deal Brexit would significantly increase the cost of importing car parts, which will affect the prices of new cars - as well as the ongoing cost of insurance. The UK’s collective car repair bill could rise by more than £2 billion if tariffs and other barriers to trade are imposed, according to the Society of Motor Manufacturers and Traders (SMMT). 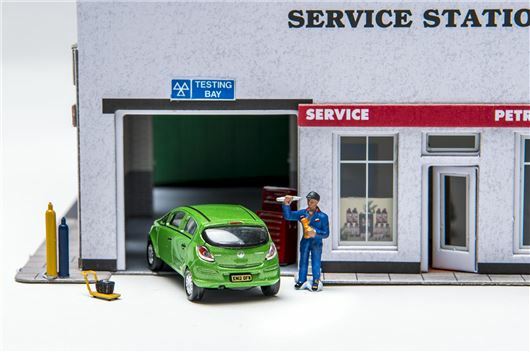 British motorists could then see their annual car service and repair costs rise by a further 10 percent, to £777, after Brexit if no deal is reached between the UK and the EU.